Want to empower your daughter? Let her be funny. Laurie Menser was a 7- or 8-year-old in Rockville, Md., when she wandered over to a neighbor’s house one day, slipped a glass eye in her mouth, and got the attention of the grown-ups in the room. Then she smacked the back of her head and stuck out her tongue — waiting for laughs. She suspects the answer might be yes. Menser is 38 and a director of development at a science association. She has scaled the corporate ladder and thinks that, more than anything, her success has been driven by her sense of humor. She just had to ignore all the voices telling her not to use it. “There was an expectation that girls would be quieter. And wouldn’t ruin their dresses and wouldn’t be roughhousing and cracking jokes in church,” she says. “And I was very often doing a lot of those things,” thanks in part to her father’s encouragement to let her be what she was: funny. But what if raising truly empowered girls also means raising funny ones? 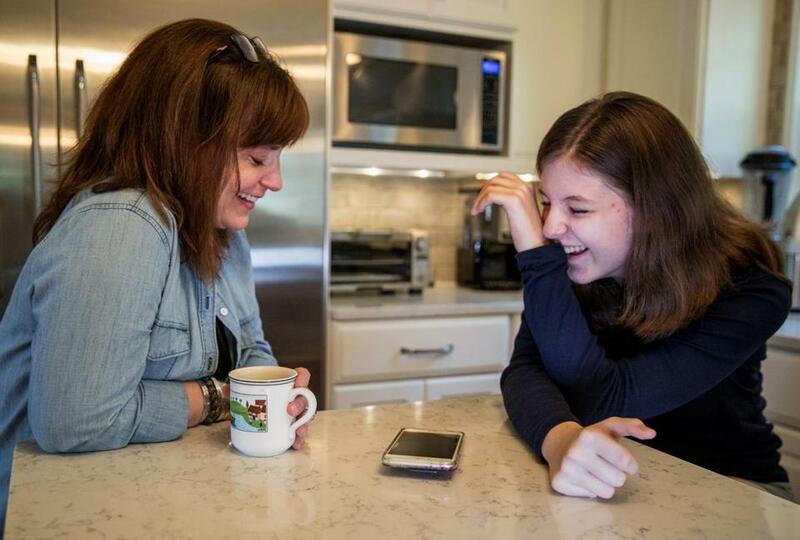 What if we teach our daughters that humor is their turf — just as much as any boy’s? There’s an abundance of research on the social advantages that come with a strong sense of humor. “It can actually shift perspective of status — and by status what we mean is respect, influence, and admiration,” says T. Bradford Bitterly, coauthor of a new Wharton business school study on the use of humor in professional settings. His research found that people who effectively used humor were more likely to be elected to leadership positions. So why aren’t girls encouraged to be funny? Caroline Nugent was always funny. As a little girl, she played it up, reveling in the attention. Nugent is 13 now, smart, self-aware, and so enamored of Tina Fey that she recently spent two weeks at a Second City comedy camp. Still, these days she isn’t that comfortable cracking jokes around boys or adults she doesn’t know well. “I feel like when boys make jokes that are edgy, they get more praise for it, but since women are stereotypically dainty and quiet, especially in the past, they aren’t as encouraged to be funny,” says Nugent, an eighth-grader at the Sheridan School in Washington. “Are women differentially rewarded or punished for breaches of social and cultural norms? If the answer to that question is yes, which I believe it is, you can see how that would tamp down the likelihood that women would try to be funny,” he says. But McGraw argues that by stunting women out of expressing their humor in mixed company, we’re shortchanging everybody. And lift up the women who do it. It matters that so many funny women are working at the top of their game today. It means our girls get to study the ways of Issa Rae, Amy Poehler, Mindy Kaling, and YouTube stars such as Liza Koshy and Lilly Singh.